Hainloose started life in 1999 as Kinch, releasing a split CD but then disappearing for a while, later returning in 2002 under the current name. The band consists of Haris on guitar and vocals, Mario on guitar, Sead on bass, Rico on bass, and Daniel on drums. Rosula is their first album. The music is characterized by rousing, tightly played hard rock with a drugged Stoner vibe. Among my favorite tracks is "Ladies First", a fiery song that mixes Hendrix and Deep Purple with a Stoner-psych edge. "Hooray" is a piledriving rocker and one of the more energetic tunes on the album. "River Song" and "Rains Of July" are similar and include a couple of the albums infrequent but excellent guitar solos, however brief they may be. None of the 10 songs hits even the 5 minute mark so there aren't any extended jams. But for sheer power this is decent stuff and within the songs we sometimes hear tasty solo bits that work very well within the set structure, though I'd love to hear these guys really stretch out and explore. Maybe they do that live? Fans of 70's hard rock will find much to enjoy here. 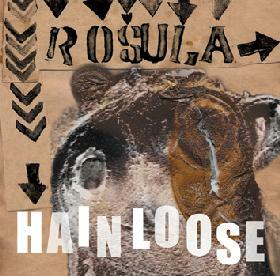 For more information you can visit the Hainloose web site at: http://www.hainloose.de. Rosula is distributed by Elektrohasch Records. You can visit their web site at: http://www.elektrohasch.de.